Lara Electrical Ltd was founded in 1986 by Brian Higgins, the managing director, and is a wholly owned Irish company based in Co. Dublin. Lara is the go to company for all your electrical requirements. Lara specialises in all areas of electrical installations, from domestic to large commercial installations. Our reputation as a leading provider of Electrical Installations and Domestic and Commercial security and monitoring systems throughout the country is built on attention to detail, close collaboration with our client’s requirements coupled with the technical skills, quality and flexibility of our experienced committed work force. We pride ourselves in quality and craftsmanship. Our committed teams continuously strive to improve the services which are on offer. Our objective is to provide our customers with flexible solutions to their requirements at very competitive prices. Our standards of accreditation and best business practice are audited and enforced by independent accreditation agencies such as the N.S.A.I and R.E.C.I., and is the foundation on which we have built, delivered and continue to develop a comprehensive electrical and security service. "The work commenced, proceeded and was fully completed on time as per quotation. We were entirely happy with the method of installation, the completion date and the finished works. "We would be happy therefore to recommend Lara Electrical Limited in respect of these works and other works completed on our behalf." "Lara Electrical Ltd has been monitoring our Fire, Emergency Lights, CCTV & Electrical Systems for the past ten years, during this time we have found them to be efficient, cost effective and thorough in the testing & maintenance of our systems." "Their staff are courteous, polite and mannerly while on site and very helpful when dealing with them over the phone. We are extremely happy with the service they provide and would have no hesitation in recommending them to any prospective customer." "I would like to confirm that for the past 10 years Lara has been looking after all our Life Safety System here at the Glenroyal Hotel." "I would be delighted to recommend Lara as during this time we have had a high level of service. I also would like to mention Lara always operates’ in a professional manor and in the very best interest of the Glenroyal at all times." "The Staff were pleasant, courteous, punctual and tidy workers… We would be happy to recommend Lara in light of our excellent experience of their work and attention to detail." 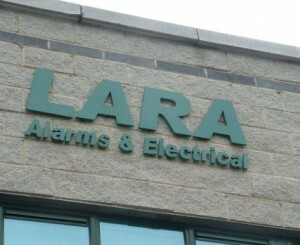 "Lara Electrical & Alarms have just recently carried out a number of installations at Carrickmines Manor. (CCTV, emergency lighting, and fire alarms) I recently appointed Lara the maintenance of all emergency lighting and fire alarms covering 12 blocks of apartments and car parks." "I can confirm that it is my intention to award yet another large development to Lara for the maintenance of the emergency lighting and fire alarms at Island Key." "Since first appointing Lara in 2010 both companies continue to strengthen the working relationship. I would have no hesitation in recommending Lara." "Over the past few years, we have focused on several major improvements: upgrading the fire alarm system, modernising the intercom system and installing our first CCTV system. We have also modernised and certified several areas of our electrics throughout each of our four buildings." "We have been pleased with the aftercare and diligence in Lara completing each project and any snags that may have occurred along the way." "I am pleased to recommend Lara and write this reference. We look forward to their return later in the year when we upgrade our Emergency Lighting System." Lara is committed to creating an environment in which all employees feel valued, safe and equal. This is achieved through generous pay allowances, best practice in health and safety at work, staff training and a sense of trust and self-worth. Lara is an equal opportunities employer and all employee actions, decisions and programs will be consistent with the principles of equal opportunity employment. Lara is continuously trying to expand, develop and diversify its workforce, thus continuously looking for potential new employees to advance the company in a competitive market. By post to: Lara Alarms, Unit D4 Centrepoint Business Park, Oak Drive, Dublin 12. All CV’s will be reviewed and notification of a decision will be given via email. Once an applicant has been successful, a period of induction and evaluation will occur. Continuous specialist training will be provided to all applicants as personnel development is seen as a way to improve the operations of the company. Lara is licensed by the National Standards Authority of Ireland (NSAI), the body empowered to award the Standard Mark to company’s who conform to the relevant Standard Specification I.S. EN 50131-1:2006, which represents the European Standard for the design and installation of all aspects of Intruder Alarm Systems. 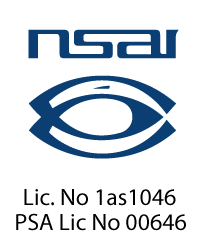 The NSAI standard is also supported by An Garda Síochana and the Insurance Industry. Lara also conforms to the NSAI Irish Standard Recommendation S.R. 40:2005 which is the recommended quality management standard for installers of Intruder Alarms, Access Control, and CCTV Electronic Security Systems.  Lara is licensed by the Private Security Authority (PSA), the statutory body with responsibility for regulating and licensing the Irish private security sector. The primary function of the PSA is to control and supervise persons providing security services and maintaining and improving standards in the provision. Lara is Fire Engineering Systems Association (FESA) accredited, who require the application and compliance with relevant National, European, and International Standards. 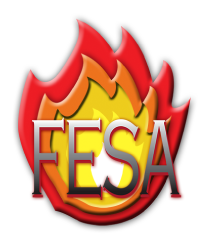 FESA also requires the employment of competent and skilled personnel, continuous education and skills development, and co-operation with relevant Legislative, Local Government, Engineering and similar professional bodies. Lara is also registered with the Register of Electrical Contractors of Ireland (RECI). 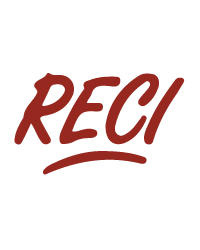 RECI is appointed by CER to carry out the function of regulating electrical contractors with respect to safety. The objective of the system is to protect the safety interest of customers with respect to electrical installation activities through a regulatory system which provides for electrical works to be carried out, tested and certified in compliance with the appropriate technical rules/standards.